The unemployment rate in Europe, especially in youths under 25, has been steadily growing in recent times and the labor market has reached at historic lows with little capacity to absorb young people eager to demonstrate their talents and skills. In this global economy recession era, young people need to be motivated to create their own career path and up-skill at an early age and seek out opportunities to start their own business. In response to this there has been a major drive from the governments of the European nations to encourage entrepreneurship and innovation. The EU Erasmus+ funded INNOENTRE project that runs from September 2014 for 3 years attempts to tackle exactly those issues by developing a Framework for Innovation and Entrepreneurship Support in Open Higher Education that federates existing and openly available educational courses, offering formal and informal curricula. 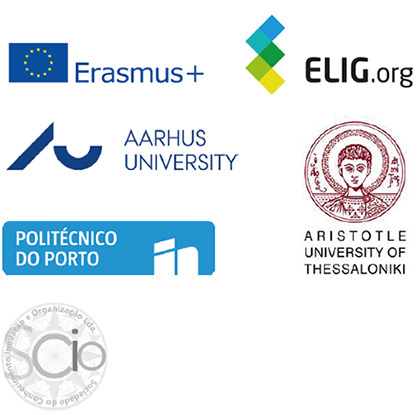 INNOENTRE will bring together leading networks and state-of-the-art domain knowledge from across the EU, including ELIG, the Aarhus University (DK), the Aristotle University of Thessaloniki (GR), Instituto Politécnico do Porto (PT), and the Sociedade do Conhecimento, Inovação, e Organização (PT). Adapt and scale e xisting efforts into a ne w systems framework for Entrepreneurship & Innovation in Open Higher Education. resources in the area of Entrepreneurship & Innovation. in Denmark, Greece and Portugal, as well as virtually across the EU. Project runs from September 2014 for 3 years.